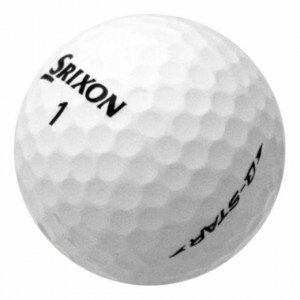 The Srixon AD 333 golf ball was created to deliver explosive distance, pinpoint control, and extremely soft response. The resilient energetic gradient growth core maximizes distance potential from a wide range of slow to moderate swing speeds while reducing spin. The two piece AD 333's new 333 dimple aerodynamics features six different dimple sizes to reduce distance-robbing drag and promote a shallow angle of descent for greater carry and roll. The AD 333 is comparable to the Titleist DT Solo and NXT Tour, as well as the Bridgestone e5 golf balls. Mint balls were MINT. Very pleased with purchase. Mint indeed. Damn it anyway, the problem is still me. These Srixons are great. they look good but haven't had a chance to play with them yet. to many had logos.... over all balls in very shape.. love these golf balls. Overall, it's what I was expecting.